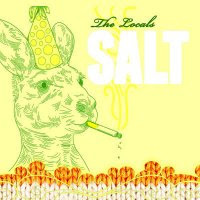 Having reviewed their 2008 LP, Big Picture, I was happy to hear Chicago alt-pop trio The Locals were back with a new EP called SALT. The EP is wonderful, made up of four songs that show genuine growth and take the band's sound to new and exciting places. Vocalist and guitarist Yvonne Doll's delivery is feistier and more passionate than ever, energy is amped up to 11, and fuller, more adventurous instrumentation brings an added breath of life to the material. Take opening track "Sound It Out" for example, a great big power pop song with an instant chorus that perfectly ties together everything that's so great about this unit. Yvonne as well as bassist Christy Nunes and drummer Kirk Snedeker recently made some time for a Q&A with WCR to discuss the EP, what makes the Locals unique and what's in store for the future. Check out what they had to say below, and be sure to show the band some love by seeing them live on June 5 at Red Line Tap and June 25 at Quenchers. WCR: Your new EP, SALT, follows up your 2008 full-length, Big Picture. How would you say the new stuff compares to what we heard on the album? Kirk: Because there are four songs instead of 11, the EP feels very concise and focused. Plus, Transient Sounds' new studio, where we recorded the EP, is killer. Christy: Big Picture was an album we made over a six year period. Some of the songs were written early in that process as the band was transitioning from the more acoustic rock past to the newer electric, guitar heavy sound we have today. Some of the songs were written later as we were finding our new path. The result is an album with a lot of different sounds and directions. I think SALT is different in that the four songs were written within a close time period and really document our current sound and the path we are taking today. I like the idea of releasing EPs to document a moment in time. We also really experimented more this time with different instrumentation, allowing us to use more keyboards, even a full horn section, to create layers and depth in the music that we had not done as much of in the past. Tell us more about some of the songs on the release. Are there any particular tracks you're most proud of? Yvonne: I'm really happy with "Everything Must Go." There are always one or two songs on a new release that really feel like they are a hint of what's coming next for the band. It just feels like where the music is heading, well at least for now! Christy: I really love all four songs, all for different reasons. Lately, I cant get "Away From Here" out of my head. How did you hook up with Steve Gillis (drummer for Filter-turned-engineer/producer) for recording and producing the EP? What was the process like? to do one complete song with him and we were so impressed with the results that we scrapped everything we had done and started over, recording the whole album again from scratch. We enjoyed working with him so much that we teamed up again for SALT. Yvonne: He is a friggin genius savant! We really enjoyed working with him in his home studio and now that he and his partner Vijay opened Transient Sound, it was a no-brainer to do the EP with him. The process was great, we've really hit a nice working rhythm (no pun intended) with Steve. Very pleasant, very creative. All good times! The band's website reveals that SALT is "the first of many four song EPs" to follow-up Big Picture. Can you give us some more information on what we can look forward to on the upcoming EPs and when you expect them to be available? How did you come to the decision to release a series of EPs instead of another LP? Yvonne: I'm hoping to be back in the studio in the fall and release the new EP as soon as possible after that. You know our music is evolving so quickly right now, it just seemed like a really good idea to just push stuff out as it comes, rather than group them in 11 or 12. Maybe it's the 140 characters or less mentality - LOL, a tweet rather than a blog. Christy: So much has changed in music over the last 5 to 10 years. People used to buy full-length albums at their local record store, now people buy individual songs while sitting at home in their pajamas on their laptop, or download a song on their phone on the way to work. How people buy music and where they buy music has totally changed. Why wait and create a full length album? Why not continue to release new music as it happens, song by song? 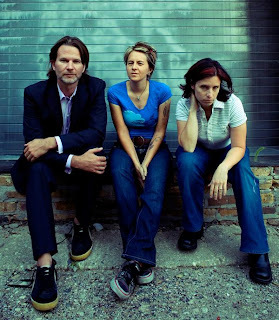 The Locals have been part of the Chicago indie rock scene for a while. How and when did the band first come together, and how has it evolved into what it is today? Yvonne: Well, I toured solo for a while before releasing my first disc, Bliss (and wow, check out the hair on the cover of that CD!). I had some great musicians work with me on that as a backing band and loved it too much to go back to being solo. Christy and I met around that same time and decided to form the band. We got our downstairs neighbors "The Daves" to play with us, drummer Dave Buss and violinist Dave Goldman. I asked them to play the release party then just kept on booking - come to think of it I never actually asked them if that was OK - but hey, they stuck around for like six years, so I guess they were OK with it. LOL. After those guys decided to call it quits, Christy and I really wanted to do something heavier. My musical tastes changed a ton over those years and Christy always had an affection for more alt rock, so we went for it and never looked back. In what ways do you think the Locals are unique from other indie rock/pop bands in the city? Yvonne: Well, I defy you to find a better chef/drummer than Kirk. He is a spectacular chef, we are just waiting for him to perfect the cooking us dinner WHILE drumming technique. I also think that you may not find very many bands who have an overall degree of shortness. I mean Kirk is a perfectly normal size human man, but Christy and I almost make one person when stacked on top of one another. Kirk: It's weird driving behind them too, because it looks like no one is actually in the car, and yet there it goes. Christy: I'm not even sure how to respond now. I was going to talk about how we are one of the few bands to actually have a mascot, but that seems so uninteresting compared to our overall height. Yvonne: See, Christy even keeps her answers short. If the Locals could choose any one band or musician to play a show with, who would it be? Yvonne: Silversun Pickups or The Whigs! Christy: PJ Harvey, hands down. She is so captivating on stage. Of the many shows played in the band's history, are there any that stand out as especially memorable? Yvonne: Our SALT release party on April 30 was really really fun, with one of most fun crowds we've ever had. Totally cool. Christy: I agree, I'm still on a high from that show. There was a great crowd and energy in the room that night. Kirk: My first show with them is a standout for me, that's when I knew we had something special. What's the one thing people might be most surprised to learn about the the Locals? The Locals spent the night together in a honeymoon suite. No one got lucky except for Christy, who found a quarter. Also, Kirk has the longest toes ever seen on a human. We call them tingers, as they are about the same length as fingers. Where can people keep up with the band and find out more information?